Sadly, tourism in Zimbabwe (anywhere outside Victoria Falls) is long gone. The campsites and places of interest, once humming with people gawking at the sites and locals selling curios, are all but deserted and local people are struggling without the revenue which tourism brings. It is, however, very safe and I would recommend you visit this forgotten gem of a country! TO STAY: There are quite a few places to stay in Kariba. The small town on the hillside offers a number of camping options but I found the sites stark, barren and uninspiring. Due to Zimbabwe’s political situation, there are very few tourists around Kariba has just about become a ghost town. You’re able to resupply here but I continued 20kms on around the lake to the Charara campsite (NAU) which was like paradise on earth. Thick grass and trees galore make for a very welcome break. It’s a short walk down to the water’s edge – take a drink with you and enjoy the sunset! To see the position of the campsite – see the Zimbabwe map here. TO EAT: Stop at Lions Den near Karoi for the best biltong in just about the whole of Africa! TO STAY AND DO: I was really fortunate to have family in Harare to stay with. I would recommend using AirBnb to find a family home to stay in here and don’t have any further knowledge of hotels or otherwise. There are a number of top end hotels in Harare – the Crown Plaza, Holiday Inn or the famous Meikles Hotel. There’s nothing of significance to see in the capital city but there are a few things to be aware of that it is illegal to walk on the sidewalks or drive down the road in front of the President’s “palace” after 6 p.m. If you do so, you will be on the wrong end of a large gun and threatened with a large fine and/or imprisonment by the guards. If this happens, keep calm. You will probably have to pay a massive bribe. Arcadia is a beautiful dam about an hour outside of Harare and makes for a most pleasant day trip. TO STAY AND DO: Situated in the North East section of Zimbabwe, the area around Nyanga and Mutare is absolutely stunning and one may assume you were in the Lake District or some place of similar beauty. I didn’t have long here and spent most of my days driving through lush green hills and forests. World’s View offers an incredible visa of the Eastern Highlands on a clear day. Trout beck Inn, below the World View turnoff, has maintained very high standards since it was built. The stone built fireplace in their entrance hall, as been burning continuously since 1951. Fishing is an extemely popular activity in these parts. 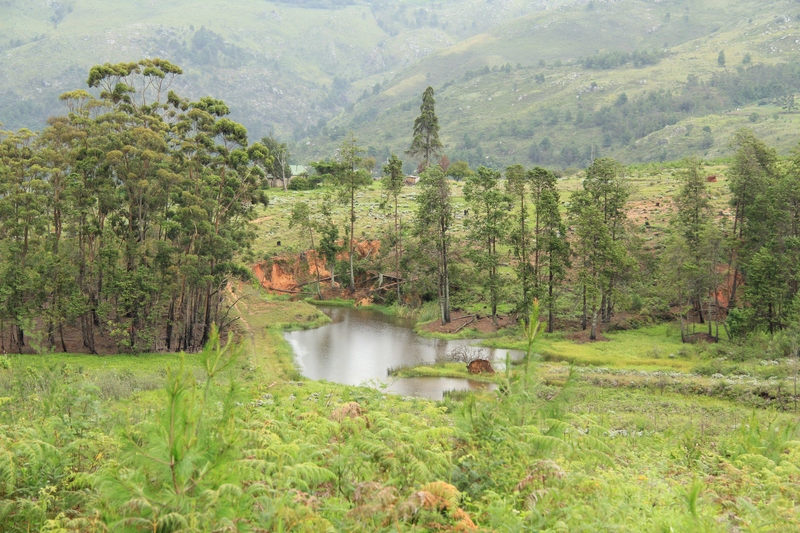 There are other options for sleeping in the area and I chose to stay at the official Nyanga National Park campsite. 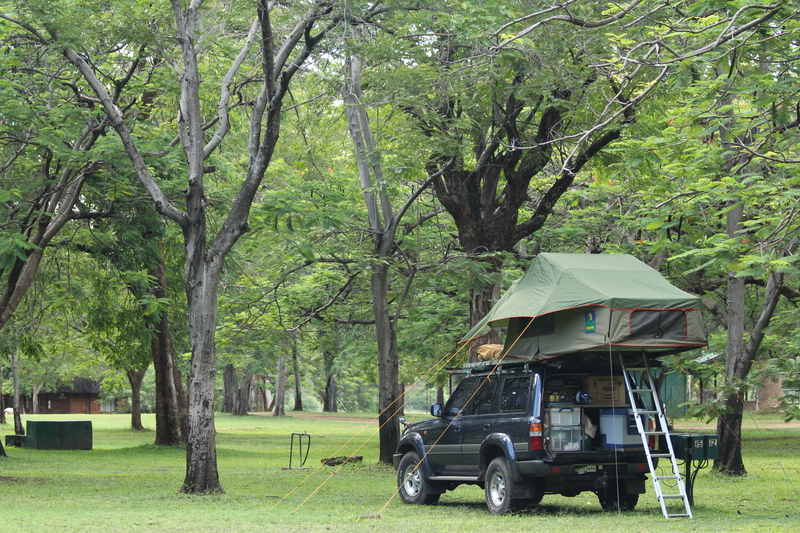 Like most other places in Zimbabwe, I was the only vehicle in the campsite that evening. Leopard Rock hotel is an old favourite with immaculate gardens and a world class golf course. The Mturazi (or Mutarazi) Falls and Honde Valley are worth a visit. 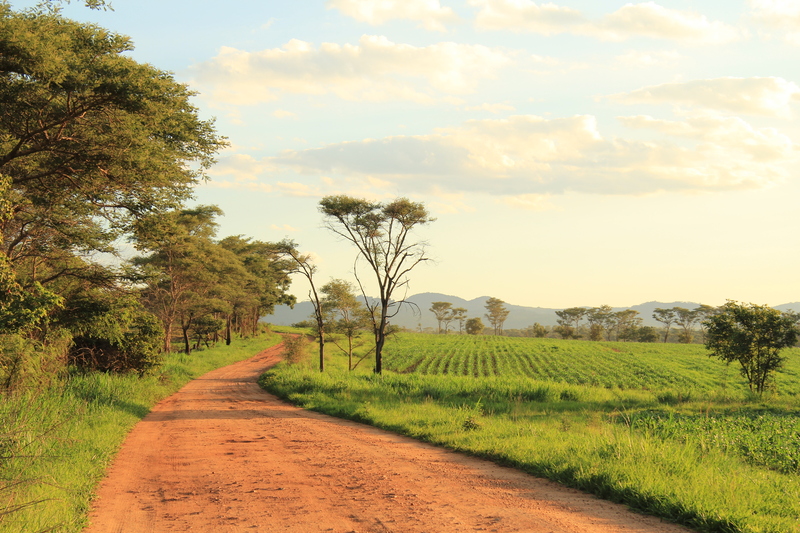 For a beautiful and windy drive further south, you can visit the Vumba mountains area. 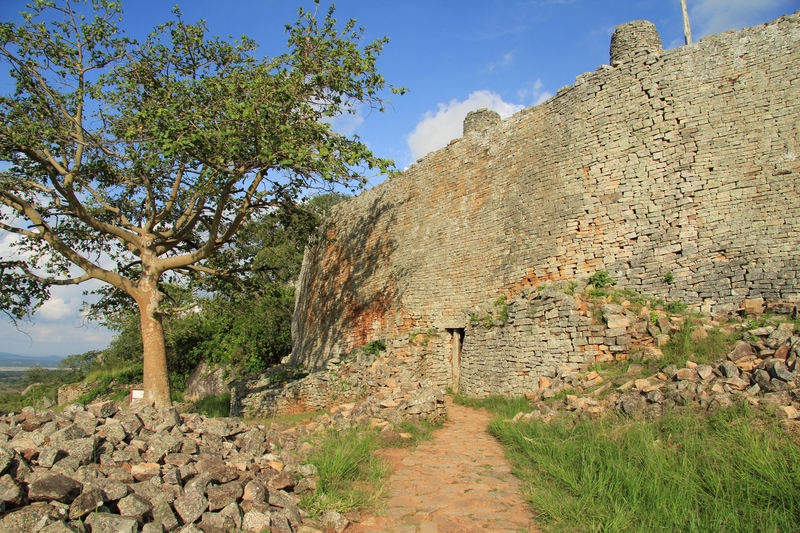 TO DO: Visit Great Zimbabwe (Zimbabwe Ruins) – the largest collection of ruins in Africa south of the Sahara. Built between the 11th and 15th centuries, Great Zimbabwe was home to a cattle-herding people who also became adept at metal-working. Atop a granite outcropping, walls merge with enormous boulders to form the fortified Acropolis. In the valley below sits the Great Enclosure with almost a million granite blocks in its outer walls. The stonework, entirely without mortar, gradually improves until the newest walls stand double the height and width of the oldest structures. At some points the walls are 11 meters high and extend for over 800 meters. 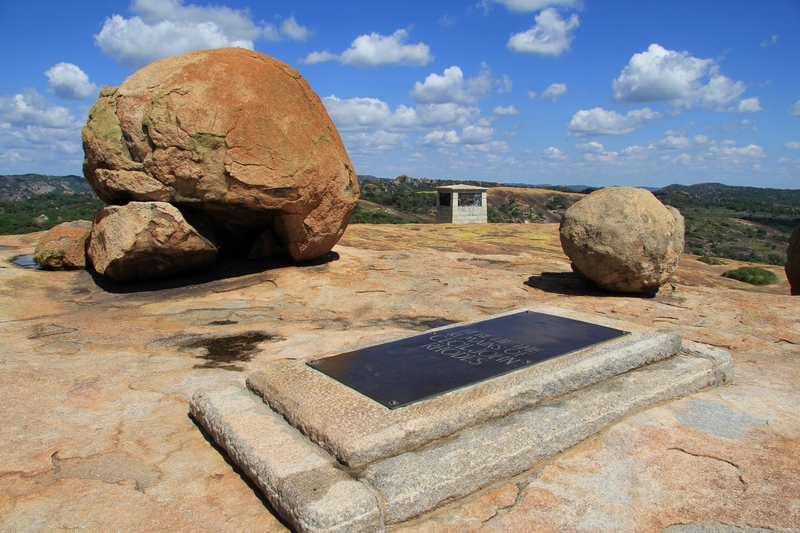 TO DO: Visit Matopos National Park – an area of granite kopjes and wooded valleys. The national park is the oldest in Zimbabwe, established in 1926 as Rhodes Matopos National Park and was designated as a UNESCO World Heritage Site in 2003.